Unwanted guests are never fun, especially when you can’t ask them to leave. Luckily, Mountain View pest control companies have no problem kicking them out. Whether there’s a rodent in your basement or insects in the attic, call your local Mountain View exterminator to take care of them — do not try to wrangle them out yourself! Not sure which type of home pest control service in Mountain View, CA can tackle your issue? Read profiles and ask about their past experiences to get a good idea. 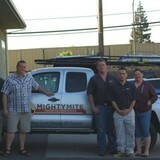 We are a full service termite company specializing in inspection services, treatments and repairs. We will handle all termite and wood destroying organisms related services starting with a thorough inspection through professionally completing of any treatments, repairs and maintenance which may be needed. We serve many areas of the East Bay and Valley including Oakley, Brentwood, Antioch and Pittsburg as well as Concord, Martinez, Walnut Creek, LaMoRinda, Danville, San Ramon, Dublin, Pleasanton and Livermore. 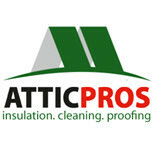 As a full-service, nationwide attic and crawl space company, Atticare specializes in attic cleaning, air duct repair and replacement, insulation installation and removal, crawl space cleaning, rodent proofing and control, radiant barrier, crawlspace vapor barrier, thermal inspections and energy analysis. If you are in San Francisco and trying to find a quick and painless service to your bed bug situation, we are the professional team to call. We offer wide range services such as heat treatment, chemical and freezing approaches. Allow us to get full control of that bed bug problem - get in touch with us now - we are the leading exterminators in all of San Francisco! 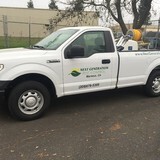 East Bay Pest Control being in business since 1998. They are located in Concord, California and services homes and businesses located in the East Bay Area. They provide a full range of pest control, rodent control, termite control, dry rot and termite repair. 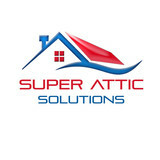 They also recommend effective and environmentally friendly treatments to protect your home and family. Since 1992, Diverse Inspection Services, Inc. has been and will continue to be family owned and operated. Based in the heart of San Francisco, our primary focus has always been serving clients with the utmost thoroughness, honesty, care, and reliability. For buyers, sellers, and homeowners: termite inspections/chemical treatments, contractors/home inspections, dry rot repairs, general construction, and San Francisco Energy & Water Conservation inspections. Any of our services can be applied to residential properties ranging from studio condos to multi unit apartments, turn of the century Victorians to sleek, new construction homes. Flexible scheduling is offered to meet your needs. Scheduling also includes early AM/late PM appointments and weekend appointments.